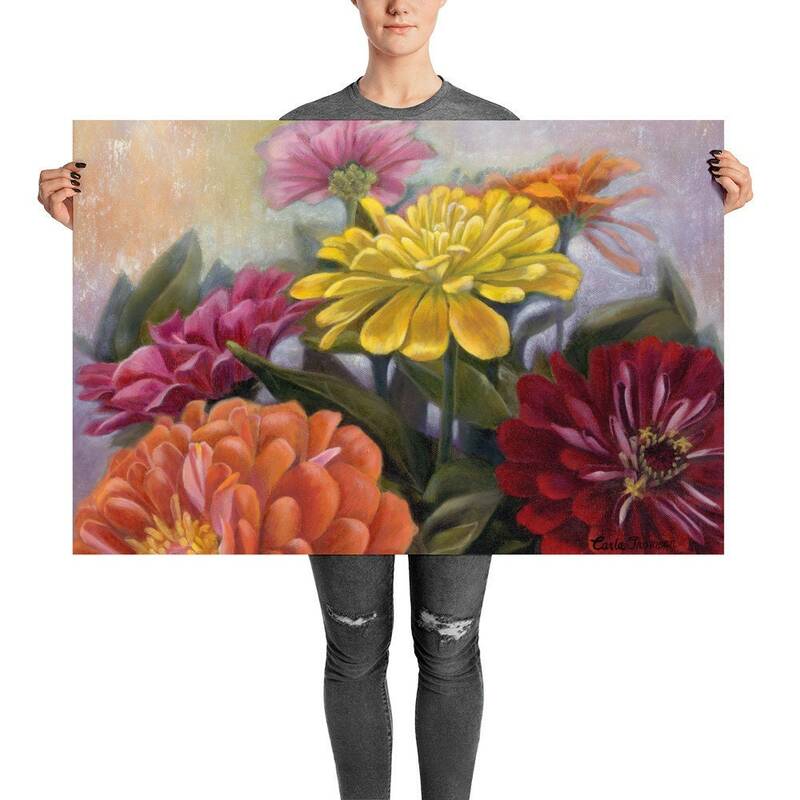 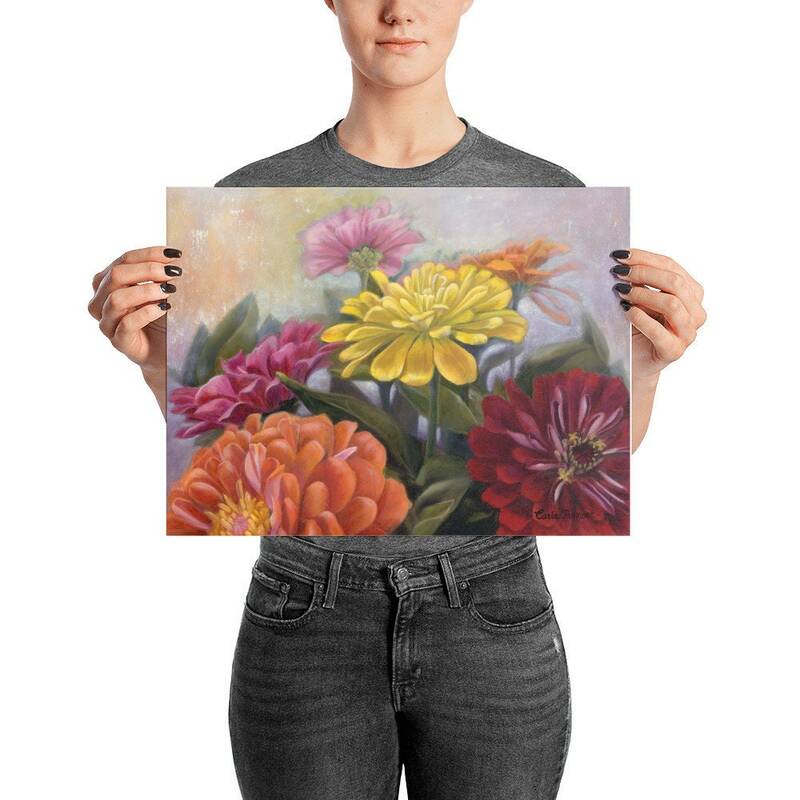 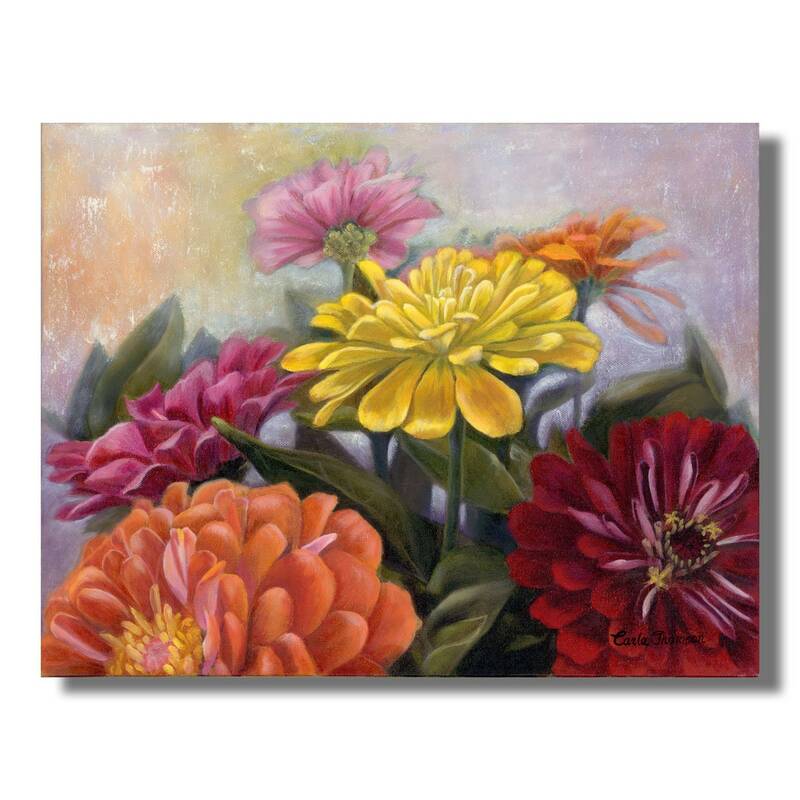 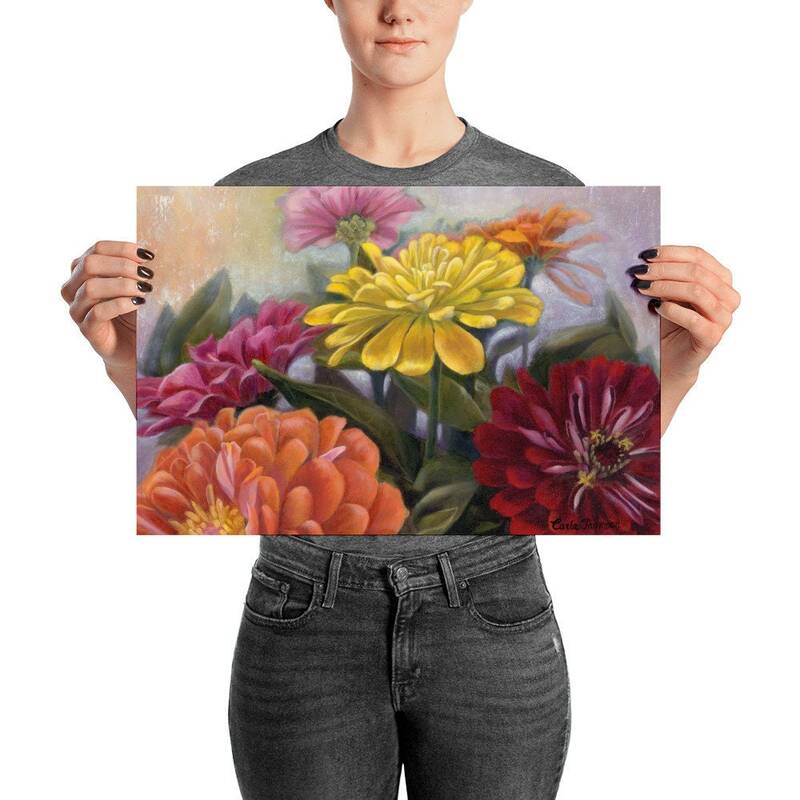 Wall art print zinnia bouquet from an original floral painting. 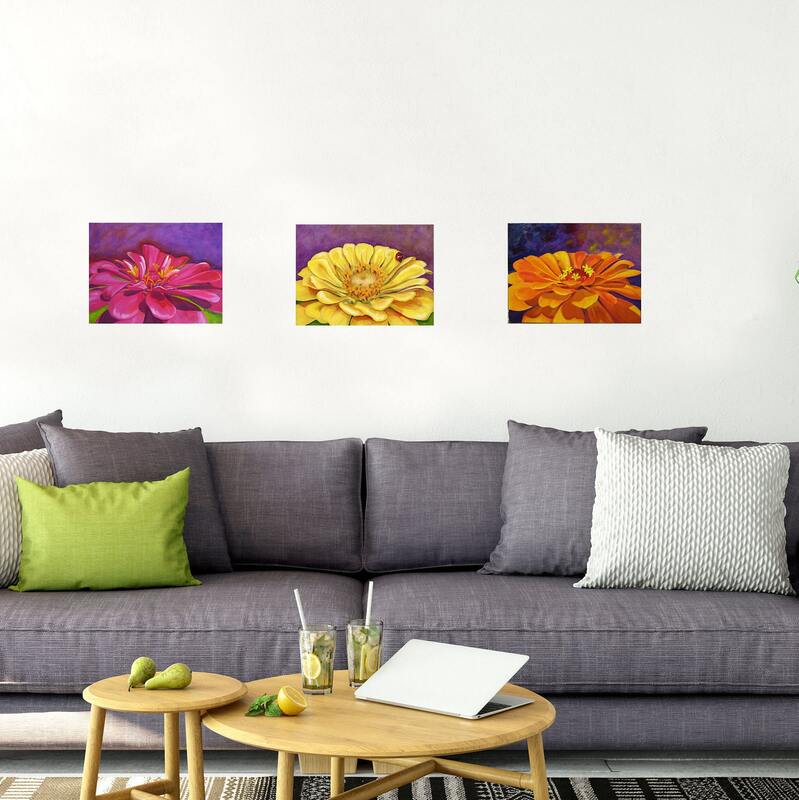 The colorful and bright zinnia wall decor will make such a beautiful addition to your home or office decor. 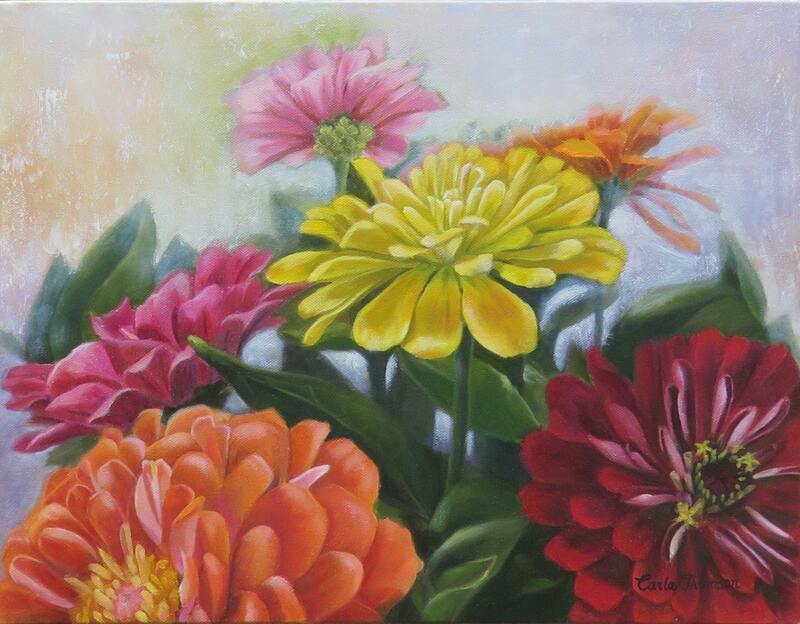 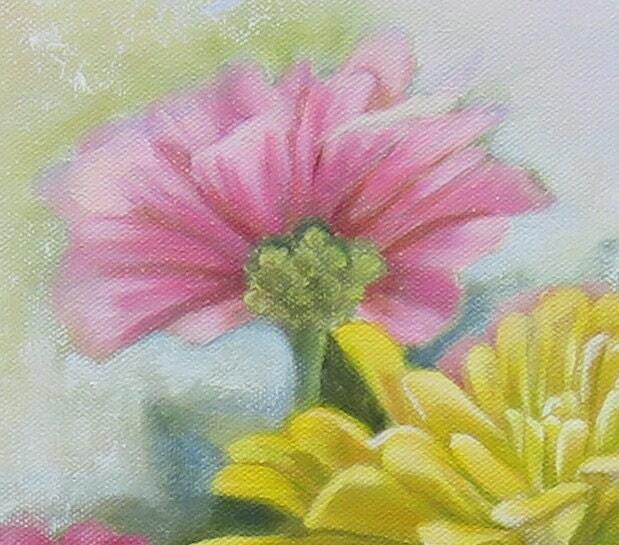 Zinnias are some of the most vibrant and easy-to-grow flowers and lovely to paint. 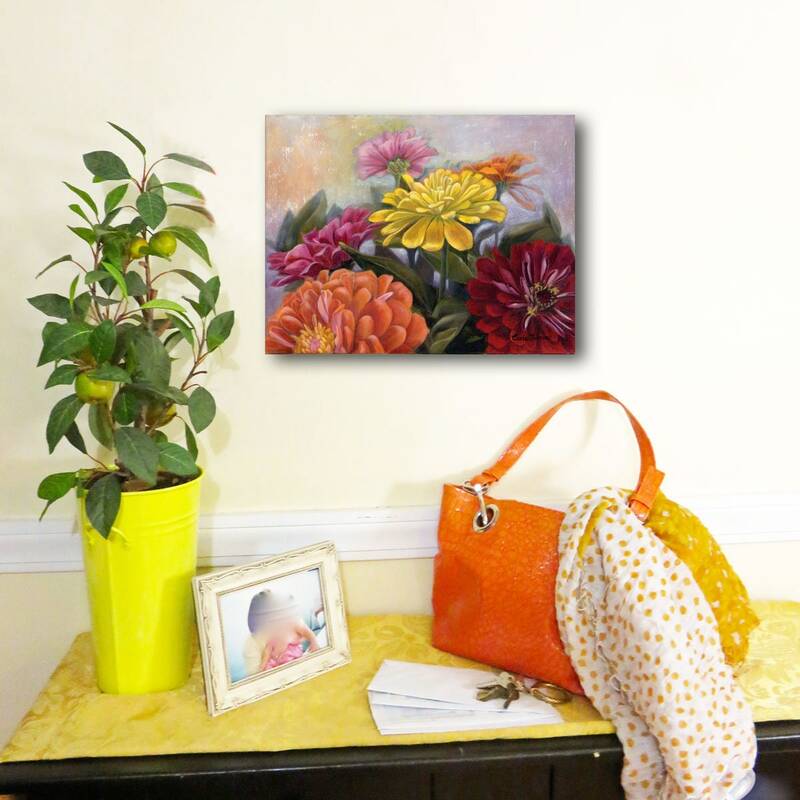 Their bright array of colors offer lots of options to fit almost any style of home or office decor. 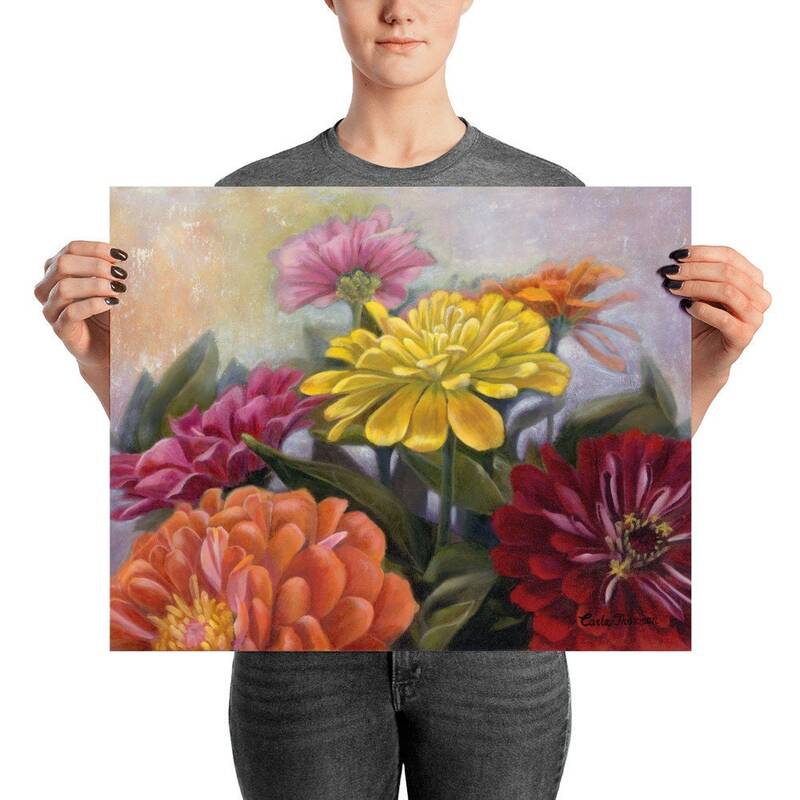 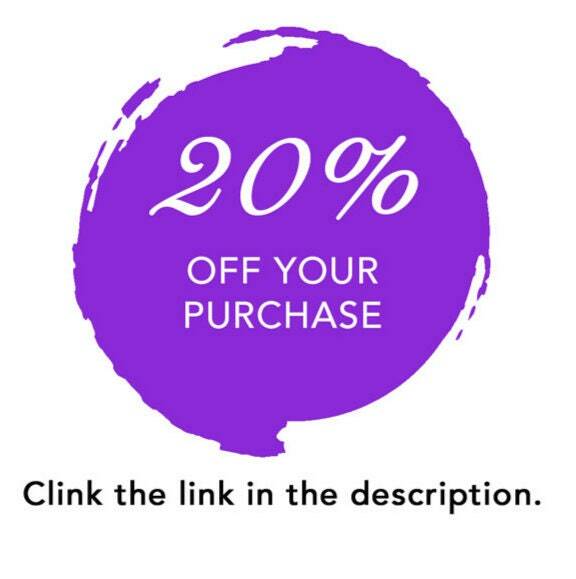 This print is the perfect gift for a lover of color and will brighten up any living space.